We pride ourselves on creating affordable one of a kind website designs. 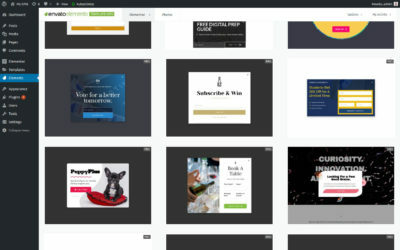 WordPress theme prior to purchase. Our best Themes have now been made into HTML Website Templates! They all feature a blog layout, shop layout and inside page designs. Our HTML Templates are artistic, clean and modern design featuring hand painted watercolor artwork. These designs would suit a home business, interior design, shop products like photography, wall prints, stationary and home made craft items, jewellery, homewares, surfing, coastal, lifestyle, health and personal development, and designers looking for a feminine Website template. All the graphics, fonts and photos are included, there is nothing else to buy. We had a great time making these templates with some really creative hand drawn original art work. We hope you like this item. If your work involves building and/or maintaining websites for clients you will love this software. Never had an easier time setting a theme up. I absolutely love this! Good job, so well done. I almost finished building my website. This sea theme is absolutely astonishing and very easy to customize. I would highly recommend themes of dtbaker! dtbaker is the combined efforts of two freelance web developers. Hayley (design) & Dave (code). We have been working together since 2005. For over 7 years we have been creating unique website templates for thousands of people. We love what we do and hope all our clients enjoy making our websites their own. We specialise in WordPress templates that are easily customised and ready to have plugins installed to suit any business. We are constantly working on new files for ThemeForest and CodeCanyon. We hope you enjoy everything we have to offer. We love creating detailed and unique website designs that stand out on their own, without relying on professional photography or videography to make the end website project look good. Our themes and plugins adhere to the best industry coding standards. We regularly check items for security issues, and we even offer our security checking service to other authors. Same day response time for our WordPress customers during business hours, 5 days a week. We are here ready to help. Click here to access the Envato Support area. Our focus has always been ease of use of our WordPress themes. The drag & drop page builder is perfect for beginners, and our 5 minute theme setup wizard is incredibly easy to use.